Definitely would love to have a crack at it. JB give it a go a tell me will you? Yes maybe I'll have a go this time next year. I must say that I didn't see any advantage to kitewings during my windsurfing days. But now with SUP foiling, I would also like to try. Kitewings are less efficient than a vertical sail, but it is not an issue with the low drag of a foil. Plus the stability of the sail (the dihedral) needed to not have the control of an attached mast foot may very well be very helpful to balance on and lift the body to help the foil work. Plus the technical advances of kite wings (inflatable "mats" and ribs), and this is something I would definitely like to try! Knowing how fun windfoiling is downwind with a tiny sail and a big foil wing, I can imagine this could be even better, I am in. 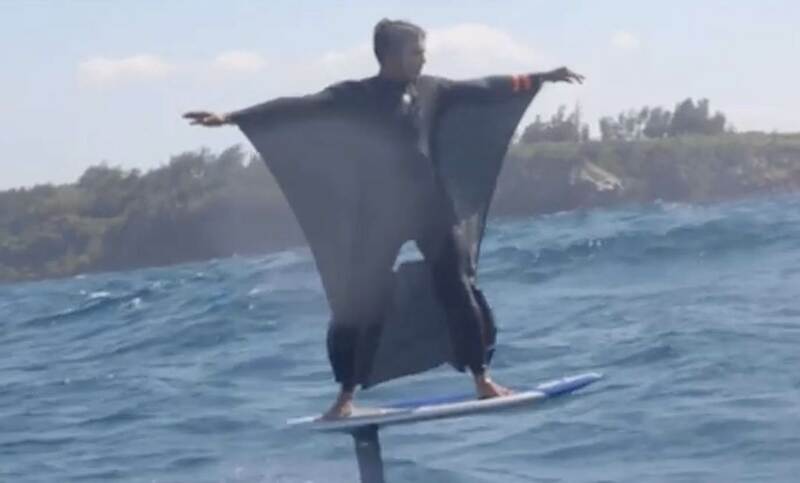 I would like to see the video of him carrying the kite wing and supfoil board to the water in strong wind and negotiating the shore break! Looks like Pete was onto it wayyy back in 82. I've heard May or June in limited numbers.. but most likely later in the year. Mine is leaving the factory today/tomorrow. I will be flying next week. There is a lot to take in, but your Naish Dealers will have full info on the WING-SURFER early May but also limited info NOW! Important to know, this is not a replacement to Kiteboarding or Windsurfing! It is an addition to our quivers to even further open up riding. Yes, it is a lot of fun and really really easy. It opens up a whole new world of ocean riding that you never knew existed. Naish have been going easy on the marketing until their product is ready for commercial release. They've been working on this for years, and with over 2 decades of kite development and revolutionary materials of today have finally perfected the Naish Wing-Surfer that simply dwarf's the competition. But you haven't even seen 1/4 of what these wings can do. Prepare to be amazed! Think outside the square. VIP - you can pre-order your now through your local Naish Australia Dealer. There is limited numbers that will be here in June, then more in July. But they are selling out fast!! If you want to be in the first deliveries, then get your deposit in now at you local dealer (first shipment already 2/3's sold out). "sign on the line for a real good time"
"if you have to ask you can't afford it"? Why has he got his leash on his front leg? On his off-tack, although I doubt Robbie has such a thing. 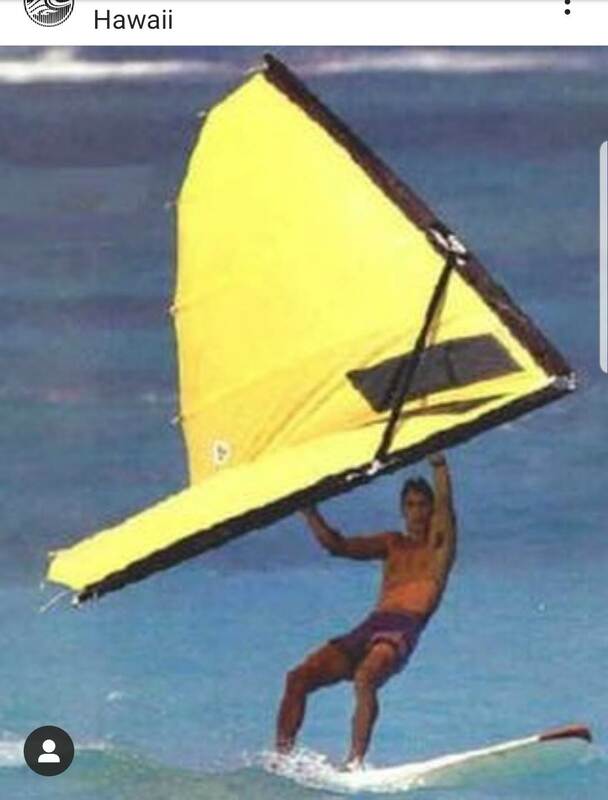 Similar to kiting on a surfboard, you can switch feet to always face the kite or wing. Oh yeah. Why didn't I think of that. Can't change the wind angle. Haa! Just shows what I know about wind surfing. Important to note that Naish see this Naish in somewhat a different way to some of our competitors. 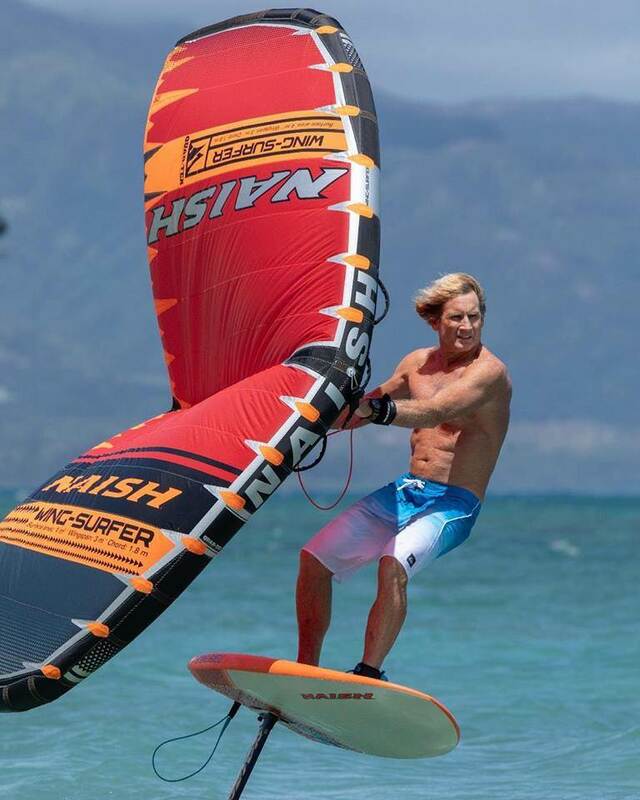 Although majority of the marketing you are seeing is Foil Based, the Naish wing is far more than that. We are roughly 85% sold through the first shipment that is ETA 1st June. I believe they will not last long, so if you're keen on one, speak with your local dealer and get a deposit down to secure yours now!